This week, I asked my first-year college students where they were on September 11, 2001. I found myself in some good and varied discussions. 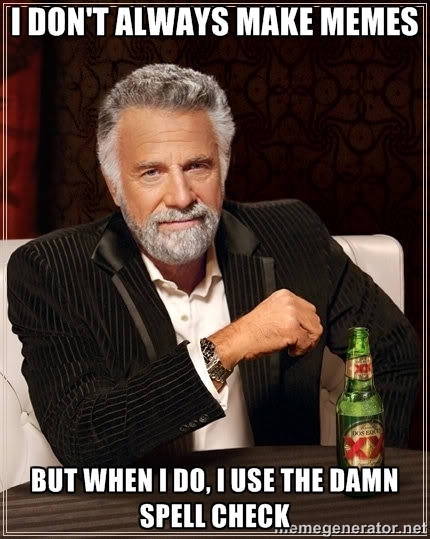 One of the discussions got me thinking about communication, then and now. An interpreter (stepping out of her role at the request of curious students) recalled a friend who interpreted the live TV news for deaf employees where she worked when the closed captions went garbled. That was a memorable job. 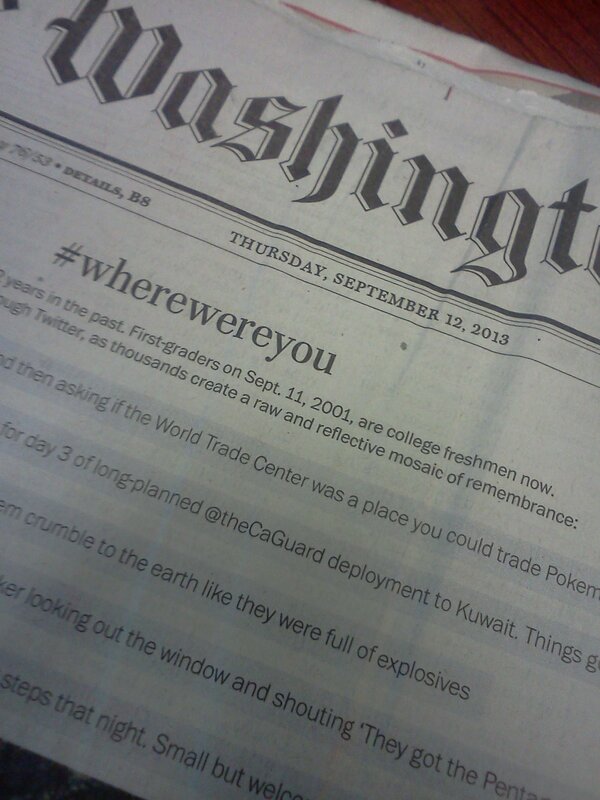 The front page of the September 12 Washington Post featured tweets with the hashtag #wherewereyou, a combination of smooshedtogether punctuation and phrasing that would have meant little to anyone 12 years ago. * Now half a billion Twitter users around the world could recognize it and regularly share their thoughts using that convention.